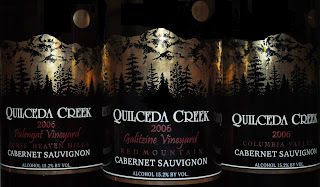 What follows is a Focus report on Quilceda Creek's 2006 Cabernets. Read a .pdf version of this report here. See previous Focus reports here. Quilceda Creek Vintners, named after a nearby creek, is located in Snohomish forty miles north of Seattle. Washington’s twelfth bonded winery, Quilceda was founded by Alex and Jeanette Golitzin in 1978. Alex, the nephew of famed Napa Valley winemaker Andre Tchelistcheff, moved to Washington in the late sixties. After being encouraged by Tchelistcheff to try his hand at winemaking, Golitzin made Quilceda’s first commercial release in 1979. Since that time the winery has been on a relentless pursuit of perfection: perfection they have achieved, according to some. Robert Parker’s Wine Advocate awarded perfect 100 point scores to Quilceda Creek’s Columbia Valley Cabernet Sauvignon in three of the last five vintages (the 2004, perhaps my favorite, was slighted at 99 points). Wine Advocate’s score for the 2006 vintage is due out at the end of the month. Stylistically, Quilceda Creek creates big, bold, age-worthy wines. The grapes are hand-picked and then aged in 100% new French oak for extended periods. The results are powerful, aromatic wines of exceptional quality packed tight with fruit and tannins. In describing how they achieve such consistently high quality, in The Great Wines of America: The Top Forty Vintners, Vineyards, and Vintages Director of Winemaking Paul Golitzin explains that he and his father “taste together, using a hundred-point scale, when making the wine. If a lot gets under ninety-five points, it’s out." Quilceda Creek produces three Cabernets in addition to a Merlot and a Red Wine. The first Cabernet comes from the Columbia Valley American Viticultural Area (AVA). The Columbia Valley offering is Quilceda’s flagship wine. Fruit for the most recent vintage comes from three of the state’s best vineyards - Champoux (Horse Heaven Hills), Klipsun (Red Mountain), and Taptiel (Red Mountain). This wine is consistently rated as among the best in the country if not the world. The third Cabernet is from a new estate vineyard, Palengat Vineyard in the Horse Heaven Hills AVA. Previously known as Matador Ranch, the vineyard was given Jeannette Golitzin’s maiden name after Quilceda purchased it earlier this decade. Palengat, which was planted between 2000 and 2002, is located on Phinny Hill next to Champoux Vineyard in Alderdale, Washington. Palengat Vineyard is a mere 8.5 acres in size (5.5 acres Cabernet, 1.2 acres Merlot, 1 acre Cabernet Franc, 0.5 acre Petit Verdot, and 0.3 acre Malbec). The vineyard is managed by Paul Champoux, who co-owns the Champoux Vineyard with Quilceda Creek and several other vintners (NB: Champoux is still recovering from West Nile Virus which he contracted this summer). The 2006 vintage marks the first release from the Palengat Vineyard. Golitzin says the “Exceptional southern exposure gives the wine a fine roasted quality” along with “power and finesse.” In planting both the Galtizine and Palengat vineyards, Quilceda Creek focused on planting vines at a density almost twice that of normal vineyards. Higher density increases competition among the vines resulting in smaller cluster sizes and, putatively, higher quality. Beyond the Cabernets, Quilceda has no plans to make additional wines from either the Galtizine or Palengat vineyards in the future. Quilceda Creek’s wines are noteworthy not just for their excellence but also for their longevity. These wines are made to outlive many of the people reading this. The 2006 Columbia Valley Cabernet was released in April; the 2006 Galitzine and Palengat Cabernets were released earlier this month. Opening newly released bottles of Quilceda Creek made me feel a bit like some hunters must feel after a kill. At first there was a rush of adrenaline followed by the feeling that I had done something terribly wrong. These wines are infants (were in my case as they have been consumed), and many might consider drinking these wines now a crime. I opened these bottles to taste what was in there hoping you will feel less compelled to do the same. I guarantee your patience will be rewarded, but the blogosphere waits for no one. Sampling these wines side-by-side, each shows powerful aromatics. Indeed, the wines could be smelled more than five feet away while being poured into decanters with aromas rising up like genies from their bottles. In comparing these wines, each has a unique profile, yet each is unmistakably a Quilceda Creek wine. In terms of color, the Palengat was ruddier and the Columbia Valley wine the darkest (See picture of corks. From left: Palengat, Galitzine, and Columbia Valley). When first opened, all three wines were wound up tightly as expected. The Palengat was the most immediately approachable with the Galitzine and Columbia Valley a bit closed down. After five to eight hours decanting, the wines were showing beautifully although still tight, youthful, and packed with power. The Columbia Valley Cabernet shows a bit more complexity as one might expect given that the fruit is coming from older vines. The Galitzine, the only one that is 100% Cabernet, has a slight dip in the mid-palate compared to its peers. The Palengat is an exceptional first release from this vineyard, especially given the young age of the vines. Overall, these wines stand tall with their predecessors. Each will only improve with patience and significant additional bottle age. I would recommend laying them down for at least three to five years and expect these wines to thrive for twenty-five years or more. On a side note, like many in Washington, Quilceda Creek’s releases over the last ten years have shown increasing levels of alcohol with the 1995 Cabernet clocking in at 13.0% and the 2006 wines coming in at 15.2%. 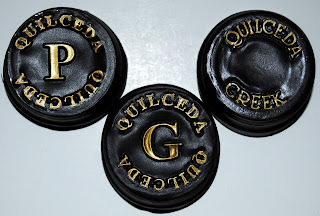 While I often find myself yearning for the bygone days of lower alcohol wines in Washington, it is hard to argue with Quilceda Creek’s results. Unless you already have them, finding Quilceda Creek’s wines unfortunately can be both difficult and expensive. Quilceda Creek sells almost all of its wine through a mailing list with some retailers receiving extremely limited allocations (the Red Wine, from declassified barrels, is both more available and less expensive). If you do find a bottle, even at their release prices these wines are expensive for the average wine buyer ranging from $83 to $125. That said, compared to California cult wines Harlan at $500 and Screaming Eagle at $750 (both 2006 vintage prices), Quilceda Creek is offering prices far lower than their peers down south and quality without parallel. These wines are as deserving of being displayed in a museum as being poured into a glass. More ruddy in color than the Galitizine and Columbia Valley wines. When first opened, the nose is tight but still exquisite with dark chocolate, rich black cherries, and light herbal notes. A knock-out on the taste. Beautifully refined tannins along with abundant cherry flavors. Brings a bit of heat toward the finish. After five to eight hours decanting, a to-die-for nose with fresh ground espresso which jumps from the glass along with dark spices, licorice, and light herbs. An intense, weighted taste that is packed with fruit and tannins and is beautifully balanced. Lingers endlessly. An exceptional first release from this vineyard. 80% Cabernet Sauvignon, 15% Cabernet Franc, and 5% Petit Verdot. Palengat Vineyard, Horse Heaven Hills AVA. Aged in 100% new French oak for 22 months. Bottled August 2008; released October 2009. 15.2% alcohol. 1,025 cases produced. When first opened the nose is fairly shut down showing herbal notes, black licorice, a fair amount of alcohol, and high-toned cherry aromas. Very well put together on the taste with plush tannins. The only detraction is a slight dip in the mid-palate 2/3 of the way through. After decanting for five to eight hours, an aromatic powerhouse with cherry, strong black licorice, dried flowers, and herbal notes. An intense, tightly wound taste that pours around the sides of the palate and then rushes through the middle. The slight dip in the middle is all that holds this wine back. 100% Cabernet Sauvignon. Galitzine Vineyard, Red Mountain AVA. Aged in 100% new French oak for 22 months. Bottled August 2008; released October 2009. 15.2% alcohol. 1,675 cases produced. When initially opened, the nose is locked up pretty tightly but shows black licorice, sweet oak spices, light herbal notes, and powdered chocolate. Big, intense, and gorgeously structured on what feels like a punch to the palate. Intense layers of fruit and tannins almost overwhelm the senses. After decanting for five to eight hours, mocha powder and dried black cherries also emerge. A richly layered wine with intense cherry flavors. Occasionally shows some alcohol. Champoux, Klipsun, and Taptiel vineyards. Aged in 100% new French oak for 22 months. Bottled August 2008; released in April 2009. 97% Cabernet Sauvignon, 3% Merlot. 15.2% alcohol. 3,300 cases produced. Sean, I opened the 2006 last night - must have been reading your mind. What a difference from when it was released last spring. It was so closed up then I didn't recognize it. Now it's a revelation. Definitely needs decanting, but a glorious bottle. Wish I could have tasted all three side by side as you did. The Palengat, by the way, is the first release from the vineyard since it was purchased by the Golitzins, but that vineyard has been producing (I think) since 2001. Not sure exactly where those grapes were going previously, but they definitely are now the E-ticket ride. Paul, I am glad to hear my telepathic skills are working! I look forward to hearing more of your thoughts on the Columbia Valley wine, telepathically or otherwise. It never ceases to fascinate me how wines change and evolve. How they can go from closed to open and sometimes even back to closed. Good point regarding the Palengat vineyard. This is the first vintage for Quilceda from this vineyard but not the vineyard's first vintage. A bit more background info for folks some of which was excised by the editor's knife. As I mentioned, the Palengat Vineyard is 8.5 acres. Five acres are owned by Quilceda; these acres were planted in 2000. Three and a half acres are under a long-term lease; these were planted in 1999 and are owned by John Derrick and family (the original owner of the other five acres). The winery lists the planting dates as 2000 to 2002 so it looks like some additional plantings were done (perhaps to create higher density?). So assuming plantings from 1999 to 2000, this would make the 2006 vintage most likely the fifth or sixth vintage from the vineyard, assuming the first was in the third year. Knock a couple of years off that if some of it was planted in 2002 (also keep the 2004 freeze in mind). The original vineyard name was Matador Ranch. I don’t know which wineries used this fruit unfortunately other than Idaho’s Frenchman’s Gulch Winery in their 2005 Ketchum Cuvee which turned up on a search. Will see if any more turn up with some additional digging. Idaho, TimberRock Winery produced some excellent wine off of Matador that I was lucky enough to try. Alexandria Nicole Cellars utilized some fruit for blending. Anon, thanks for sending information on folks who used Matador Vineyard along. Much appreciated.